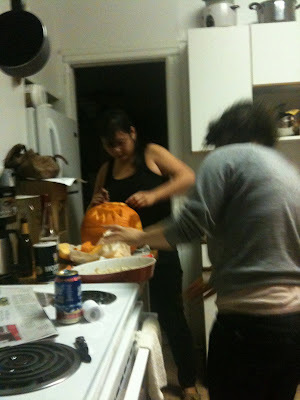 A bunch of us went over to my friend Brad's last night and had a huge pumpkin carving party. We ate a ton pumpkin seeds and drank beers and watermelon spritzers (Megan carved the cool scary watermelon). Here are all our pumpkins. Kim was the one that carved the sweet dog pumpkin. Thats Oy her dog. So badass! Dan's is the lobster, Lesley's is the pentacle, mine is the Classic jack'o'lantern, Liz's is the moon with bat, Jamie's is the cat, Brad's is the scared up scary one and Bjorn's is the skull. I'm on a blog! I blogged, I'm a blogger?! 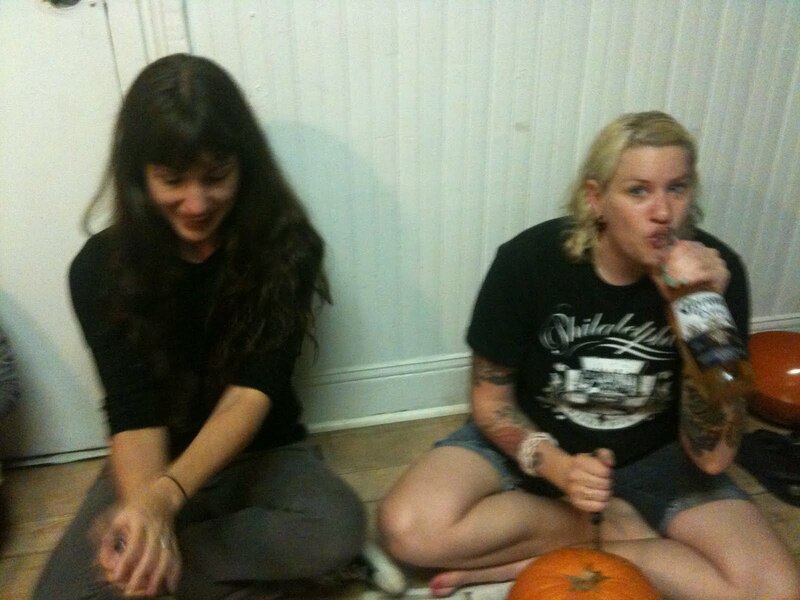 Pumpkins forever!!! Those are all so good! Nice works! jill made nothing but trouble!